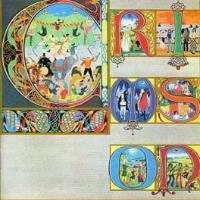 Lizard is one of two “lost” King Crimson albums. Generally overlooked in favor of either the megalithic debut release or the embryonic prog metal that made up the band’s mid-1970’s output, Lizard shows the band moving more toward Robert Fripp’s musical ideals and concepts. By this point, the group had shed all but Fripp and lyricist Peter Sinfield from the original lineup, bringing on Mel Collins (sax, flute), Andy McCulloch (drums) and Gordon Haskell (bass, vocals) to complete the ensemble. The album featured an extensive number of guests; most famously among them was Yes vocalist Jon Anderson, who handled lead vocals on one track. If one were to look at the initial quartet of King Crimson albums as idiomatic of the four classic elements, Lizard might best be seen as the band’s “earth” album (lyricist Peter Sinfield equates it to fire, which this reviewer feels is more appropriate for the debut release). 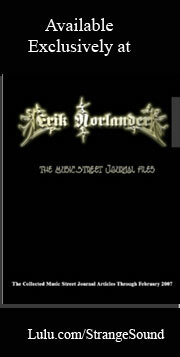 It features the greatest amount of acoustic playing from all members involved, including Robert Fripp. The material is generally less fantasy based (although not fully bereft of fantasy) and seems to have aspirations of moving away from traditionally symphonic rock toward more jazz based sounds and styles. While Haskell is not the singer or bassist that Greg Lake (previous) or John Wetton (who followed) is, he acquits himself reasonably well on the five tracks that comprise Lizard. Mel Collins is a more than able replacement for founder member Ian McDonald, while Andy McCulloch’s drumming is subtle and light, quite appropriate for the jazzier material. From a presentation standpoint, Lizard features one of the most intricate covers in the band’s catalogue, with a full wrap around cover with illuminated letters spelling out King Crimson. Each of the letters features a scene that can be tied in to one of the songs on the album. It becomes a fun exercise to match the letter and scene with the song, one which I’ll not spoil by providing any more clues or answers than those which follow in the track by track review below. Lizard ends up being a fully unique entry in Crimson’s lengthy catalogue: no other album looks, feels or sounds like it. Sleazy double tracked saxophone introduce the second song on Lizard. Short bursts of flute add lightness, while Haskell’s vocals sound distant in the mix, as if he were in a different room singing while the band was recorded. Acoustic guitar is most present in the mix, while short clean electric chording can be heard under the vocal sections. It’s a shame that Fripp moved away so much from acoustic guitar; while it would likely be difficult for the acoustic to feature with as much presence in the band’s sound that followed, it adds character to the songs on Lizard, adding to the unique nature of these pieces. Lyrically, this is a difficult track to consider; the verses seem a series of disconnected vignettes, and are perhaps the weakest that Sinfield presented the band. The song breaks down quickly, with Haskell’s bubbling laughter leading into the following song. This track opens in a manner most closely aligned with King Crimson’s earlier material, with a driving rock beat, slashing chords, and eerie synthesizer. It quickly shifts to a quirky faux-jazz feel, with heavy emphasis on guest Keith Tippet’s piano. Haskell’s vocals alternate between clean delivery and heavily ring modulated processing. It has often been assumed that Sinfield’s lyrics on “Happy Family” allude to the Beatles (in fact, one can infer that the quartet seen on the cover in the illuminated “I” is the Beatles), and while no information to the contrary seems to exist, it’s best to leave it as such: an assumption. “Lady of the Dancing Water” is a quaint ballad, with gentle acoustic guitar and lyrical flute playing courtesy of Mel Collins. Haskell’s slightly rough voice seems tailor made for the song, or should that be vice versa? Ominous mellotron stabs and quiet piano opens this 20-minute side long epic. Jon Anderson (vocals, Yes) guests on the opening vocal movement to this epic, and it is eye-opening to hear this material sing by him; it does cause the listener to wonder how the rest of the music might have sounded with his vocals rather than Haskell’s. Fripp’s electric guitar playing on “Prince Rupert Awakes,” the opening movement, is stellar, as it shows how quickly he was moving toward the instrumental focal point of the band’s sound. His brief solo is simple, yet stunningly lyrical, a clean, warm tone with legato and sustain. The build at the end of this first movement is orchestral in grandeur, with thick mellotron chords building, then subsiding as guest Robin Miller begins a haunting cor Anglais melody on “Bolero: The Peacock’s Tale,” the second section to this epic. McCulloch’s snare drumming, Haskell’s incredibly subdued bass, and Mel Collins' flute and sax playing add subtle beauty to this incredibly overlooked piece in Crimson’s oeuvre. Haskell finally adds his vocals on “The Battle of Glass Tears,” the track’s third movement. After Jon Anderson’s choirboy vocals, which opened the piece, it is a bit of a shock to return to what might be considered a more workingman’s vocal sound. Despite the jazzier beat and drumming, this section sounds most closely aligned with the type of material that populated In the Court of the Crimson King or In the Wake of Poseidon, with sheets of mellotron gradually giving way for layers of overdubbed saxophone and flute over skittering drumming. As the composition moves toward its conclusion on “Big Top,” the material takes on a quality similar to the nightmarish carnival music which opened the album, the band teetering on the edge of chaos as layers of trombone and other brass instruments battle it out with mellotron and electric band. A brief call/response section between Haskell’s bass and Fripp’s guitar bring to mind comparisons to similar constructs on earlier albums, offering a short respite before the chaos begins anew. The composition finally ends with what might be seen as a taste of Fripp sounds to come, with keening, fuzzed, sustained guitar finally arising from the mix, soaring over a thrumming bass line and serving as a calling card for where the band was soon to tread. Eerie calliope music is the last actual sound on the album, but it is the guitar work, unlike any heard on a Crimson album to date, which remains in the listener’s memory.